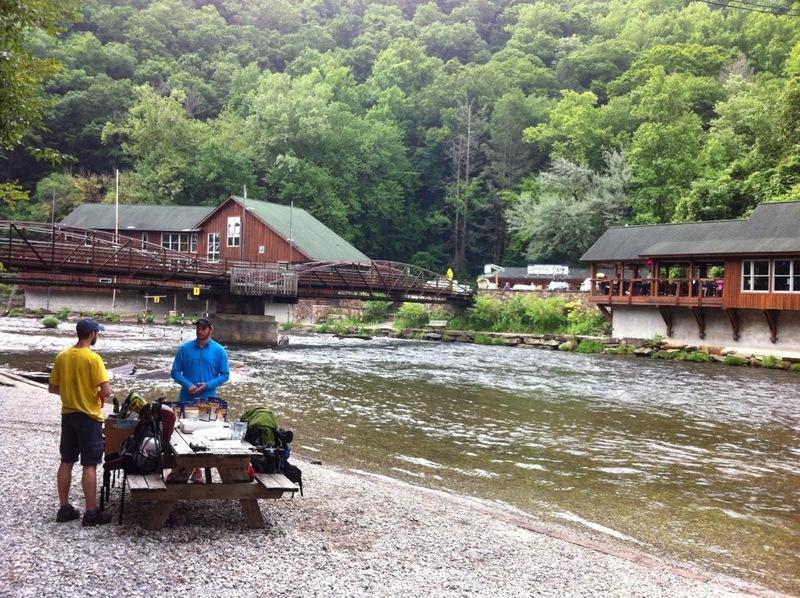 2013 Appalachian Trip: Extras (video/pics) and…Now what? 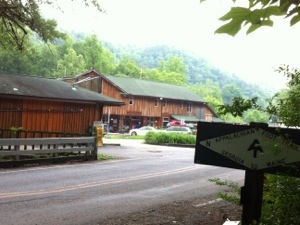 We stopped at the Nanthala Outdoor Center (NOC) in the morning. 6-12: At Fontana Dam, here’s a quick clip of the lake for a painting session. 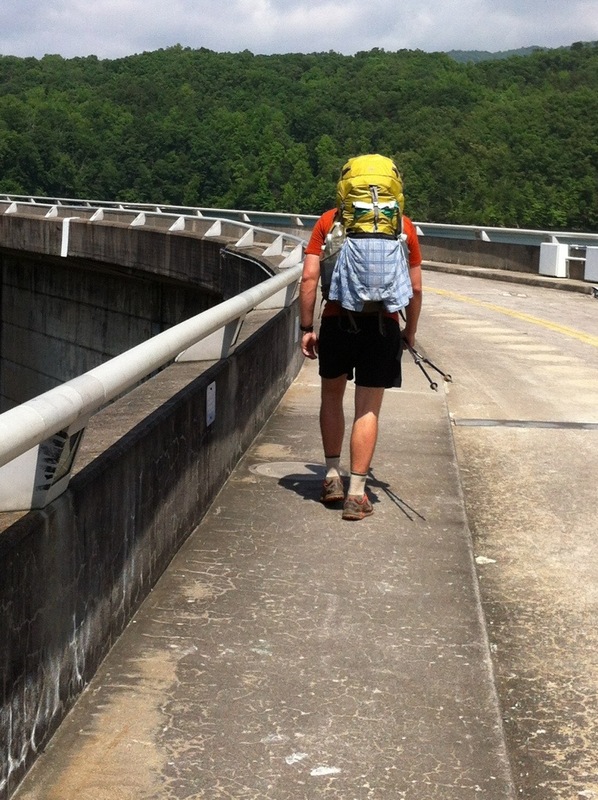 Hiking across the Fontana Dam, Littlefoot sets his pack for the priorities, dry the plaid boxers and house the leftover Pringles for quick snacking. 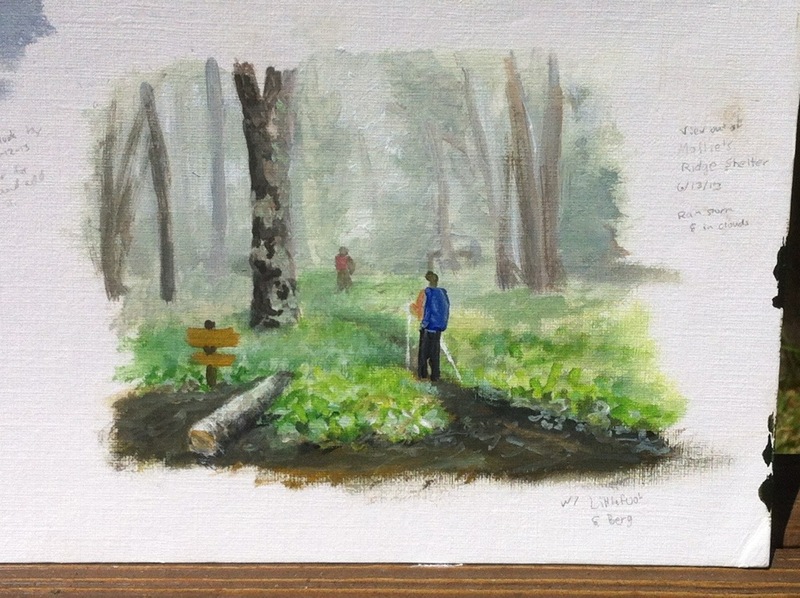 Later, at the shelter just after the storm calmed down, I painted a scene of the thick, foggy forest. Now, I go back over my notes and color sketches to do larger paintings. After the trail, I went directly to Asheville to visit family, and Montreat, NC where I have sweet memories of summers as a kid. I hope to produce an entire series of paintings to present in a show and possibly begin a short journal-book about the “AT Experience”. A show needs about 20-50 paintings, which may be biting off a bit more than a can chew, but I’ll try! As noted in the posts this hike, the people are a vital part of the experience, so I’ll learn portraiture and then continue the trail where I left off at Hot Springs in the future. Can’t wait! I’ll provide a post later on this blog with pictures of the paintings, or if you’d like to see them as I go, it’ll be posted on the “En Plein Air” blog. Until the next time, bye for now and thanks again for reading these posts!! It is great to hear that you are back on the Trail. Best wishes for your adventure. Thanks! 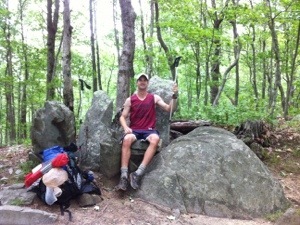 I did a section hike during the month of June and plan on hiking the rest in sections as time allows. 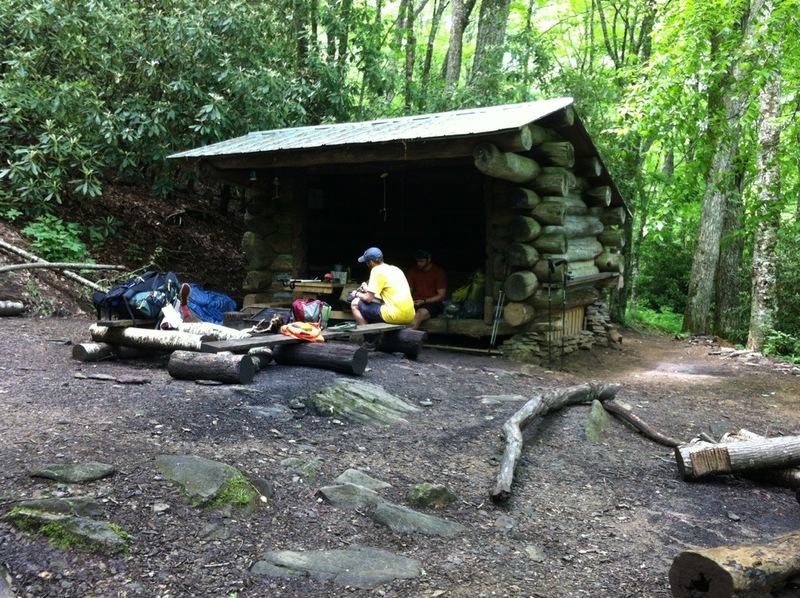 June 2013: Back to the AT as an Artist.